The Iona Pilgrimage is limited to 12 participants. Reserve your spot today! 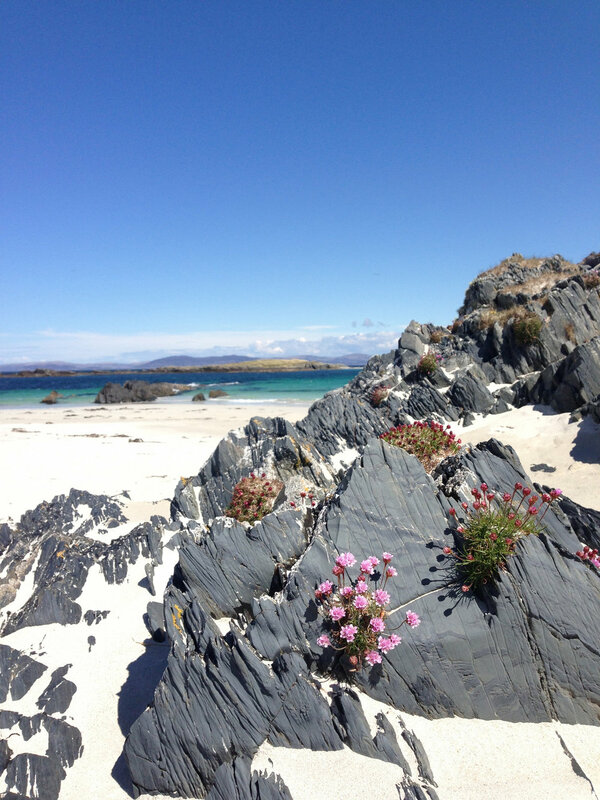 7 nights/8 days of communal lodging at the Iona Hostel, Iona's gold-rated Green Tourism facility, which is situated on the northern turquoise shores of the island surrounded by beautiful, black Hebedrian sheep. Plentiful and delicious, vegetarian meals created together! In order to keep the costs of this pilgrimage as low as possible, we will cook our evening meals together with a pre-planned menu based on the island's food availability. Buffet style lunch and breakfast will be available daily. Participants are invited to work together on a rotating basis to prep meals and clear dishes as a testament to the pilgrim-community! Unique tours that will deepen our sense of place and connection to this sacred, storied landscape. We will tour the Iona Abbey, Staffa Island, receive expert teaching on the island's geography, meet with local artisans, and discover the wildest nooks of the island! While considered a priceless value to the journey, all tours and walks are optional; however, do note that not all are ADA accessible and require a moderately active fitness level. Rewilding Wonder Yoga Sessions Daily beach-front yoga sessions led by certified yoga instructor Sarah Steinke that will invite an embodied practice to your pilgrimage journey. Previous experience with a yoga practice is not necessary or required. Daily Circle Sessions facilitated by Mary DeJong where together we will explore the archetypal themes of pilgrimage through the Heroine's Journey; rediscover the rich heritage of Celtic spirituality; recover wisdom and a flourishing imagination through ecotheology; and remember our belonging through rewilding prayers, practices, rites and rituals. These sessions will be held in various places including the sacred space of John's Barn, roofed walls containing stories, dreams, and laughter; the teal-tinted north beach; St. Oran's chapel; and other powerful places throughout the island. Personal Time will be held and honored every day, ensuring that your soul can be nourished by silence and the sacred presence of the sea. Guided Hikes will be offered on most days to assist in getting you off the common trails and to some of the most stunning coves and beaches on the island. Influenced by the lives of Celtic saints, Joseph Campbell’s The Hero’s Journey and the emerging field of ecopyschology, Mary facilitates retreats and pilgrimages in the Pacific Northwest and in Iona, Scotland, that strengthen the unique and mystical interconnection of participants, the sacred, and the natural world. She has studied and practiced within the Celtic Christian spiritual tradition, her own maternal line heritage, for over twenty years, receiving mentoring and vocational guidance from Vivienne Hull, co-founder of the Chinook Learning center and the Whidbey Institute and the director of the Iona Retreat Programs. She has been leading groups to Iona, Scotland since 2004, delighting in the pilgrimage process of recovering the sacred within, and throughout the cosmos and creation. Pilgrimage is an external embodiment of an inner journey. Daily yoga offerings are intended to invite our female form to show up in soft strength, remembering that our skin is what we are meant to be in. 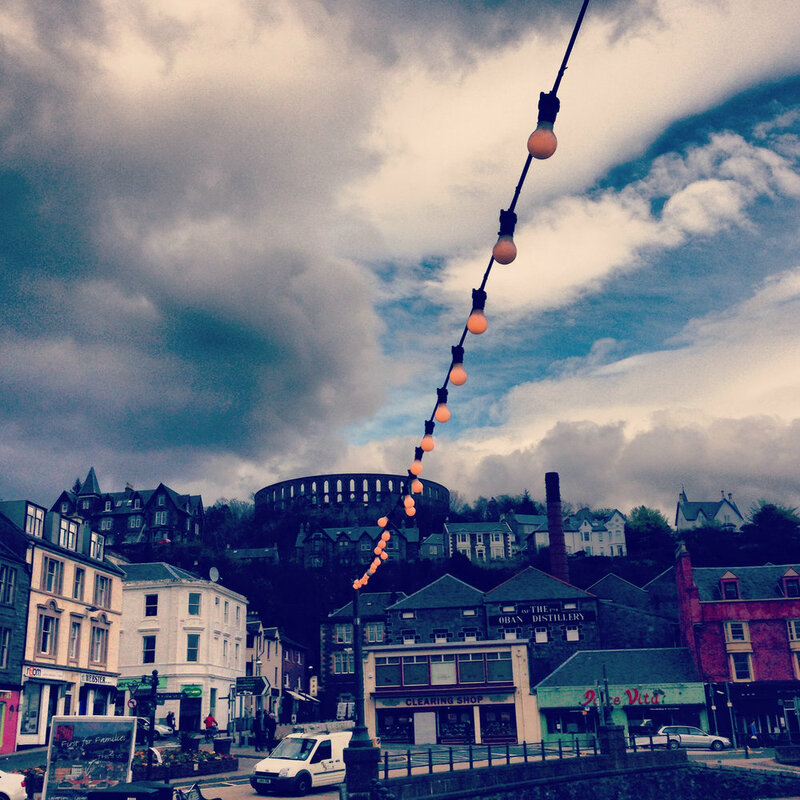 Wonder resides in places of quickening, those moments where new life is first felt, and where words often fall short. And wonder, for Sarah, is what compels her to stay and listen. And then to enter more fully, senses alert. As a yoga instructor and poet, she finds these are both practices of quickening. She believes the longer we tolerate this place beyond words, the more deft we become to movement—allowing what needs to drop to the ground to drop, and allowing shape to what needs to take shape. Sarah’s yoga and writing practices reflect her commitment to the poetry of the ordinary, and she invites others to awareness and connection, the places of quickening in their own lives. Sarah’s teaching has had the benefit of much practice—over twenty years of writing and editing experience, and ten years of yoga practice. She is a RYT 200 certified yoga instructor who received her MFA in poetry from UW. She currently teaches yoga classes in a local studio in Silverdale and corporate sessions in Seattle. Her work has appeared in the Laurel Review, Hayden’s Ferry Review, Crab Creek Review, the Other Journal, the Southern California Review, and elsewhere. Her chapbook, Words Could Not Make It More True, was published in 2014 by Finishing Line Press. Find out more about Sarah at her website. Our world is in uncertain times with an even more uncertain future. As spiritual seekers, we look for signs of the sacred to clarify and guide our path into this unknown territory. We long for authentic expressions of our unique gifts and talents so that we might truly live into the challenge to engage our culture and change our world. To discern this path, to genuinely know our meant-for-ness, we need time and space to be able to seek after and listen for the sacred within our souls, the soil, and the stars. In our busy, cluttered lives, it often feels next to impossible to hear that still, small voice that is luminous within the liminal space of Iona. 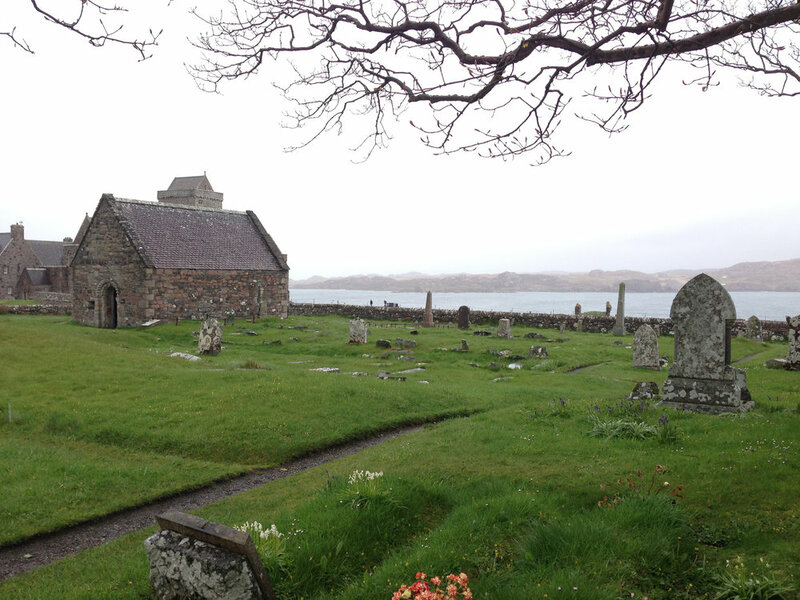 Journey to a sacred site, a world-renowned pilgrimage place: Iona, Scotland. This unique island will require the necessary intention of a pilgrim while also fulfilling the need for journey's end to place you in touch with holy ground. It is the arrival to this deeply spiritual space, which then spurs hope onward. For that is the great value of making pilgrimage: we are able to state a deep intention for the trip, travel with an eye, and heart, for the sacred detail in every moment, and arrive in a place where we experience the numinous in new, powerful, life-changing ways. Iona has a unique and challenging call to modern pilgrims. Whereas in the past, pilgrims would seek to rise above their physical nature to engage and experience God, today we must seek to integrate all of creation to live a more healthy and whole existence. 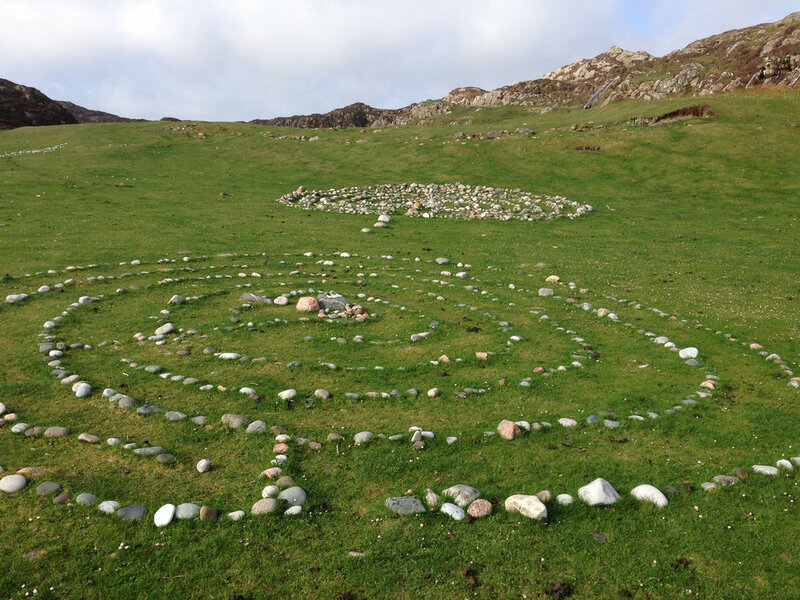 By going to Iona we are looking to learn from a place and a spiritual tradition that honors this interconnectivity; our prayer is that we might leave bringing this harmony with us so that we truly can be change-agents in this world! You are considering setting out to make pilgrimage-one of the most ancient forms of journey for people of faith from all cultures and religions. While this word may sound antiquated and seemingly irrelevant to modern-day ears, there is an awakening sense that making a pilgrimage is a way to find answers to your deepest questions and experience a spirit-renewing ritual. This type of journey invites the traveler to see the sacred in every step and in every turn. With a deepening of focus, keen preparation, attention to the path below our feet, and respect for the destination at hand, it is possible to transform even the most ordinary trip into a sacred journey, a pilgrimage. And the beautiful irony of such travel is that indeed, one must return HOME. And when one does, they find it changed, renewed, transformed…or is it you that has been forever altered? It is this returning that allows you to live forward with fresh intention and solidarity with the sacred answers provided you on the road.